Russian President Vladimir Putin met with Turkish President Recep Tayyip Erdogan on Oct. 10 within the framework of the World Energy Congress in Istanbul. Russia may consider delivering air defense systems to Turkey, Kremlin spokesman Dmitry Peskov said on Oct. 14. The presidential spokesman made this statement as he was answering questions about the visit, which Russian President Vladimir Putin had paid to Turkey on Oct. 10. 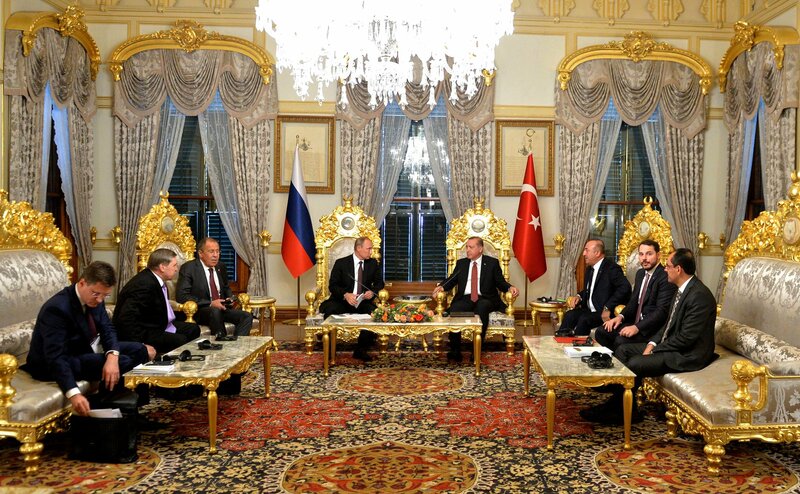 "Indeed, the issues related to military and technical cooperation were on the agenda of contacts between Putin and [Turkish President Tayyip] Erdogan," Peskov told journalists. "Various air defense systems were mentioned," he added. "If the Turkish side expresses its desire, Russia may consider the possibility of their delivery to Turkey in various modifications," the Kremlin spokesman said. "But this is a purely commercial issue, a very sensitive area of cooperation," Peskov said. The Kremlin spokesman said earlier this week that Putin and Erdogan had not discussed the issues of creating a joint air defense system. The Russian leader told journalists after his talks on Oct. 10 that Russia was ready to continue interaction with Turkey in the sphere of military and technical cooperation and fill it with serious projects of mutual interest. According to Putin, the proposals from both sides are being studied and have all the grounds for being implemented.